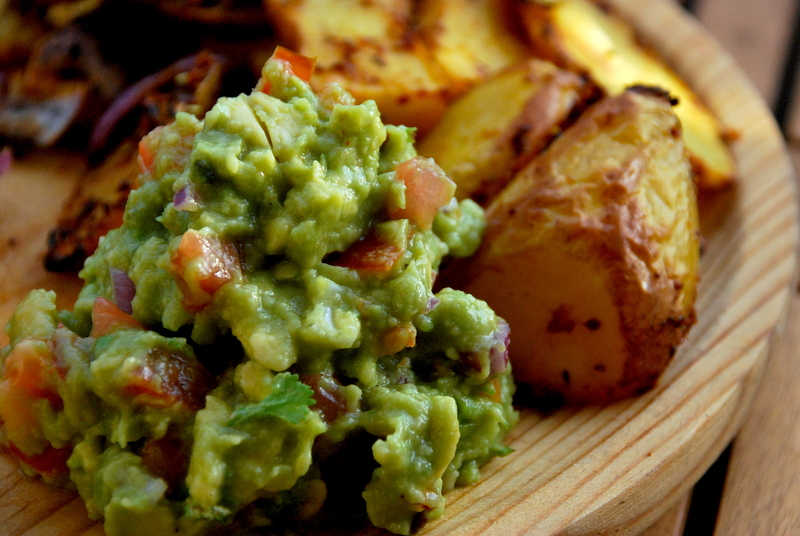 Just another Guacamole recipe | vegänsch. 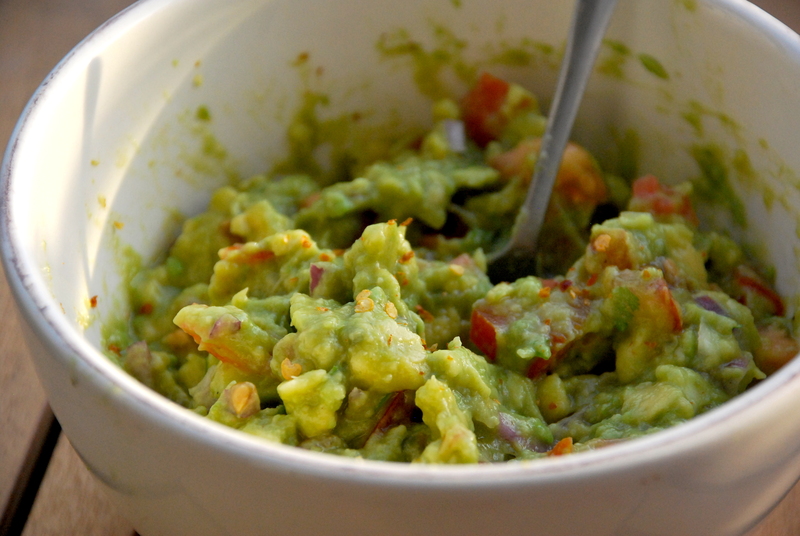 I know, I know – there are like one trillion of Guacamole recipes on the internet, and most of them are even vegan. This one’s my favourite one though, and as I love eating Guac and taking pictures of it, I’m gonna share it with you. Grab a ripe avocado and in like three minutes, you’ll have the freshest and yummiest snack/dipping sauce/nacho sauce/bread spread/green ketchup/condiment etc. Enjoy! 1. 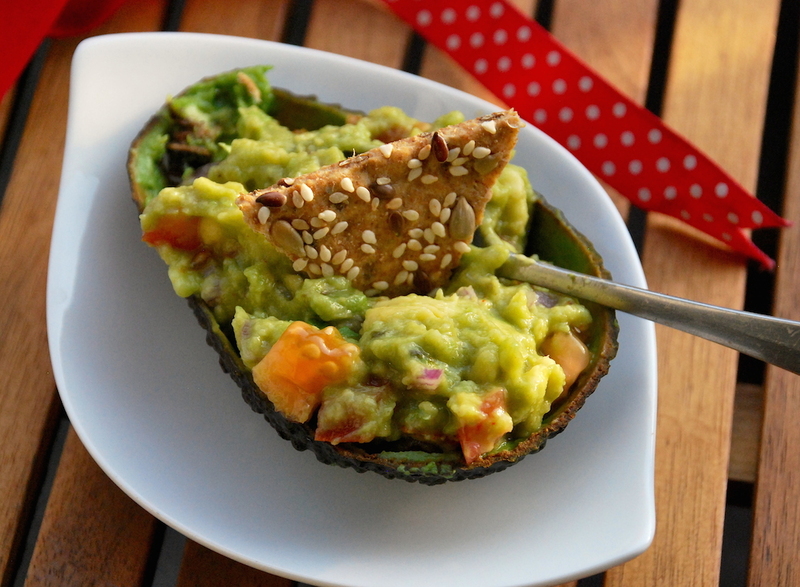 Mash the avocado with a spoon or fork. 2. Cut up onion, tomato and coriander (and garlic, if you want). 3. 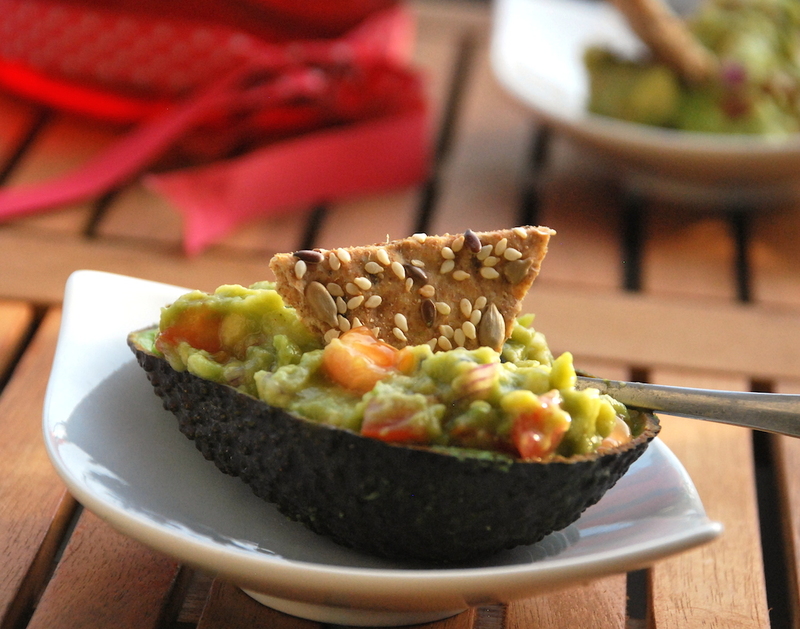 Add everything to the avocado, season with lemon juice and spices and enjoy! … or with some homemade potato fries. Matches with almost everything!